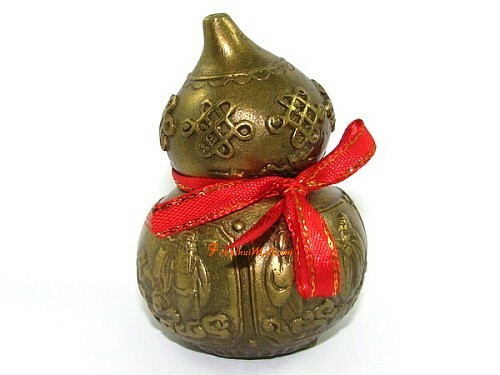 The shape itself of the Wu Lou plays an important role in its image; it is a depiction of heaven and earth unified. 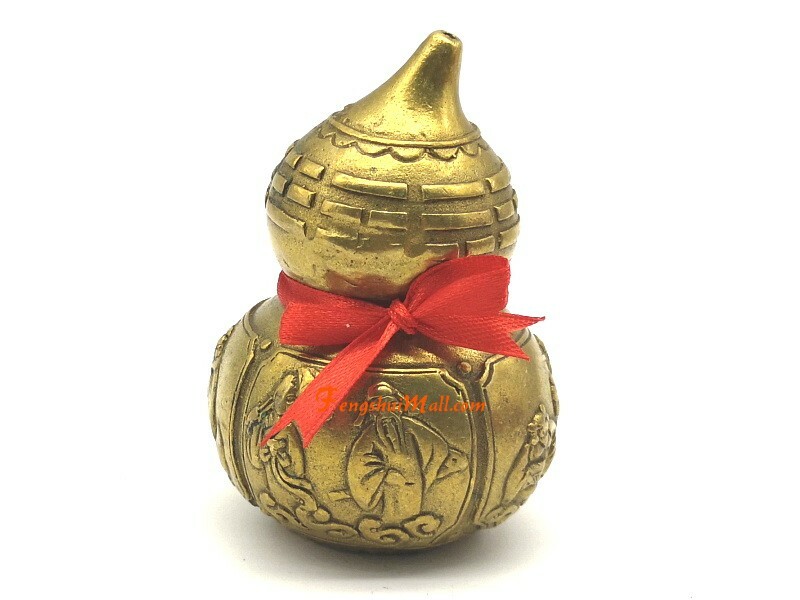 The Wu Lou or HuLu is also said to have the ability to absorb bad chi, for the reason that Taoist monks use the gourd to incarcerate evil spirits. 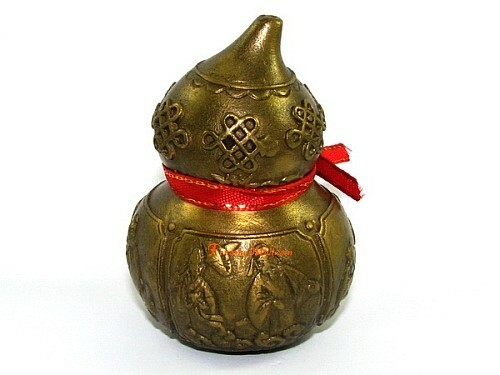 According to Chinese mythology, monks and deities of the Taoist belief made use of the gourd, trapping evil presences inside to prevent them from causing misdemeanour. This is where the Wu Lou got the ideology of being able to absorb negative chi in your surrounding. 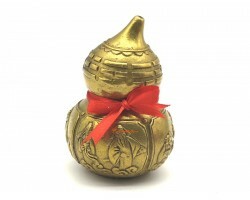 When a Wu Lou is being used for Feng Shui, it is imperative to attach a red thread around the “neck” to enhance its energy.